Jimmy Choo Archives - Do You Speak Gossip?Do You Speak Gossip? Can’t believe December is already here! It’s the month of Christmas and for that I love it very much! I can’t wait to decorate my house with all things Christmas and bake my sweet treats, something that has become somewhat a tradition. This month I picked for my wishlist, a wide range of beautiful shoes. I hope you like them as well. Let’s admire them together, shall we? February is finally here, and what is a better way to start a month than creating your wishlist? Hehe Well, this month’s wishlist, is maybe my favorite of all so far. I didn’t know that there were so many stuff out there I wanted, until I started searching for items for this post. Let’s say that there were more than 5, and it was too difficult for me to narrow them down. But these are definitely my favourite so far. I also said that I wasn’t going to show shoes again for this month, but when I saw the new collections, it was too difficult for me to resist. 1. 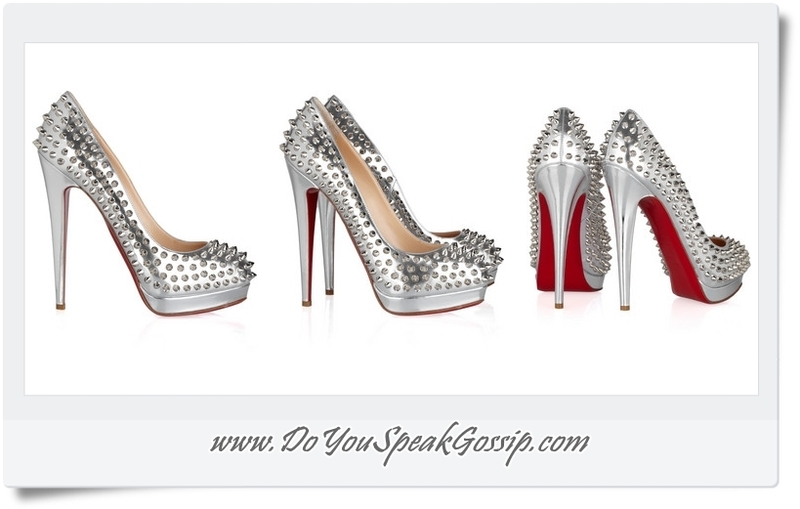 Christian Louboutin Alti 160 spiked metallic leather pumps, 995€.